"Where the Village Meets the Lake"
Take a tour of spectacular Big Bear Lake on Miss Liberty Paddle wheel Tour Boat, rent a luxury pontoon boat, bring your fishing pole and try your luck in one of our fishing boats, soar above the water on a parasailing tour, jet ski across the lake or even just relax. 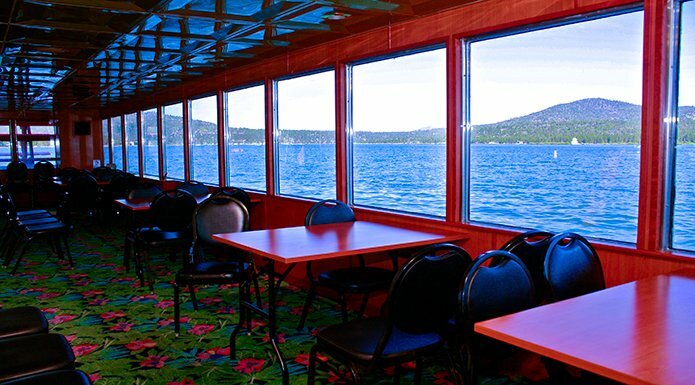 A Big Bear Lake getaway is closer than you think. 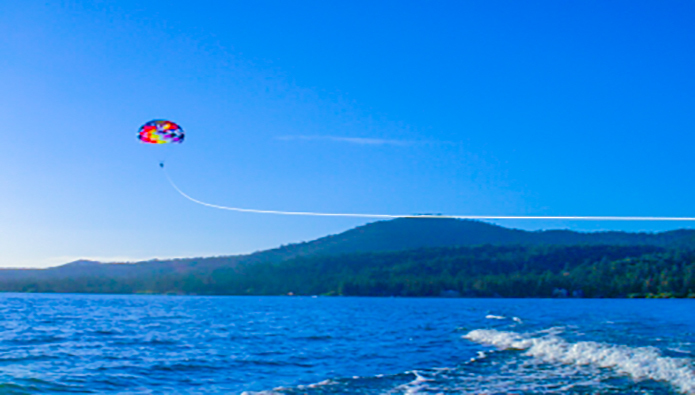 Soar high above Big Bear Lake and enjoy the unmatched aerial views experienced at 500' up. Bring your boat to Pine Knot Marina or rent from the best fleet on the lake! Pine Knot Marina has fuel, refreshments, and boating supplies in our store. 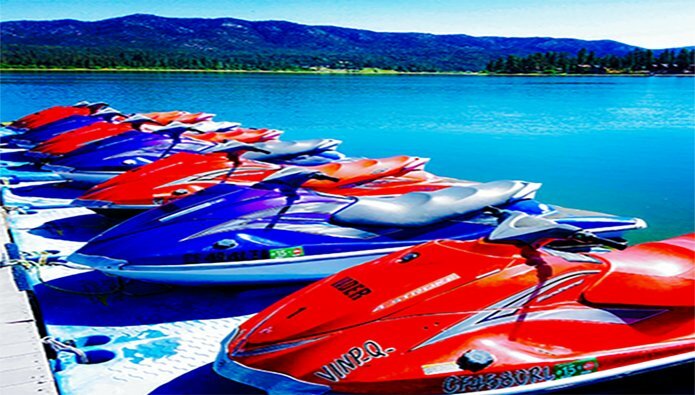 Experience the beautiful scenery of Big Bear Lake on the wide open thrills of a Jetski. We offer a wide assortment of rentals to fit your needs. 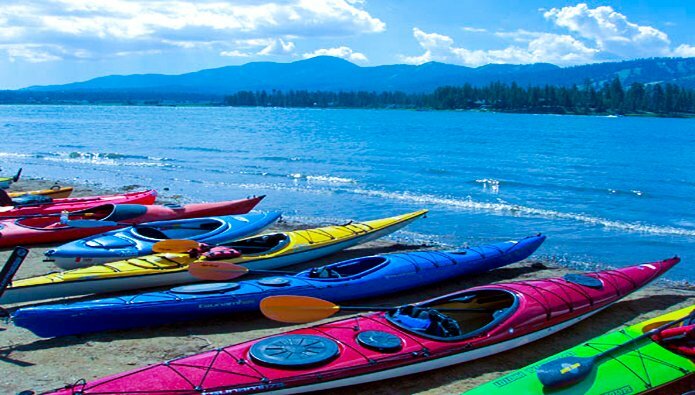 Paddling is a fun, invigorating way to explore Big Bear Lake in perfect tranquility. 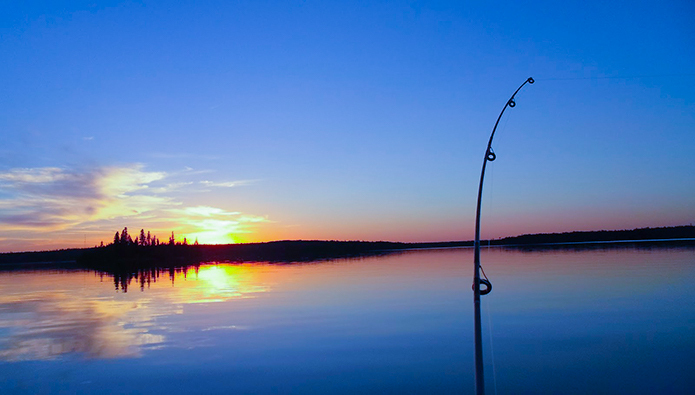 Our aluminum bass fishing boats will get you around the lake and in the coves where the fish love to hide. How did you enjoy the Marina? As an owner of a boat slip in this marina, I can say this was one of the best investments I've made. The marina is very well maintained and managed very well. The office staff is very friendly and helpful. Not only was the awesome location a big selling point and owning the slip, but also how well the marina managed. I toured and check out other marinas on the lake and this was also my 1st choice for the following reasons: 1. Right across from the Village (huge plus!) Boat servicing center, fueling station, tackle shop, Chad's Place bar & grill on site and all the benefits that come with being a Dock Club member. (Slip owner). 24/7 access to your boat, too. The 4th of July fireworks display from this marina, too. Sweet! 5 Stars. Great staff, very friendly and helpful, would recommend anyone visiting Big Bear to get on the lake in one of the many boats for rent at Pine Knot Landing. We rented a pontoon boat last weekend and had a great time! Great place to bring the family! We rented a pontoon on Sunday for 4 hours, we got to the rental building with just a small line, the woman working at the time was very kind and got us on the boat in good time. When we returned we met a woman named Dakota she was very patient with all our children returning life jackets:) she was also very knowledgable on where good restaurants were and what they had. Will be coming back just because of the amazing customer service pine knot has to offer! Jami Miller is first woman to become a Yamaha Outboard Master Technician. Yamaha Marine Group announced today that Jami Miller of Pine Knot Marina in Big Bear Lake, Calif. is the first woman in the history of Yamaha training to achieve Yamaha Outboard Master Technician status. Ms. Miller was one of only two in her class to pass the Master Technician qualification test. She finished in the upper half of the 114 Master Technicians nationwide. "Those who achieve Yamaha Master Technician status are truly considered industry experts in specific areas of Yamaha outboard motor technology," said Bob Popiel, assistant division manager, Marine Service. "Jami joins a very elite list of the nation's best technicians. Her commitment to excellent customer service and her drive to succeed are truly commendable." Jami Miller has been a technician with Pine Knot Marina since 1985 and started her career as a technician in 1979. She began her Master Technician training five years ago. "Achieving Master Technician has been a goal of mine for a while and I'm still floating over this accomplishment. I'm very proud to be the first woman Master Technician," said Miller. "The structure of the Yamaha training program really worked for me and I felt like I got a lot out of the classes because of the way the modules are set up. They start with a basic overview and then break it down into specifics, which is a great way to really learn the product." To achieve Yamaha Outboard Master Technician status, technicians are required to complete six different training modules and pass the Master Technician Certification test. The modules include: Outboard Systems, Fuel Systems, Four-Stroke Systems, Drive Train Systems, Electrical Systems and Advanced Four-Stroke and Certification. All Master Technicians must also complete Yamaha Marine University's Five Star Certification Program, an instructional DVD course followed by a series of tests. 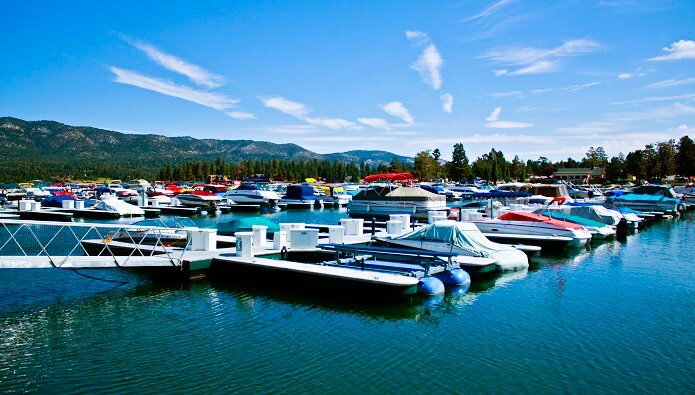 Pine Knot Marina manages the Miss Liberty Paddlewheel Boat Tours, and the Dock Club in Big Bear Lake, CA.